Engrave Wine Bottles, Plates, Champagne Flutes, Cups – Etc. Stop by our store on Corporate Blvd in Baton Rouge if you are looking for a specialized engraving on any piece of glass. Our engravers use a state of the art laser engraver that can etch almost any custom design into most glass products. Color applications are also an option in any design. 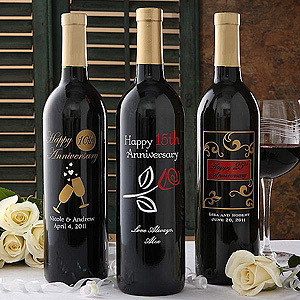 Many of our individual customers and corporate clients enjoy giving custom etched wine bottles as gifts or prizes, or as a table top display for events and parties. Custom engraved wine glasses, champagne flutes and cups are the perfect addition to enhance the experience of any important event. 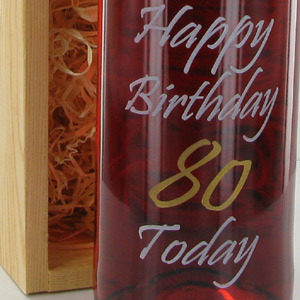 Custom engravings are the perfect party favors, prizes, promotional product or birthday and anniversary gift.